February is the month of romance, the basis of which is attraction. Of course, this stems from the fact that Valentine’s Day was on February 14. Valentine’s Day is celebrated in most countries and is often chosen as the perfect day to express love and commitment. Besides celebrating Valentine’s with our loved ones, I believe we should also celebrate it at work. Celebrating what one loves about work converts to a culture that is contagiously successful. So, if asked “What do you love about your job?” what would you say? My top answer would be similar to the 40,000 employee respondents in a Tinypluse survey. I love the people I work beside. They are my family. While not surprising, this answer was given three times more often than the next most-cited reason (freedom, autonomy, flexibility). In my opinion, all of our family (employees, dealers and distributors) are a pleasure to work with and an amazing family. And yes, that means you. You are amazing! You are our family! A stressed-out group of adults were told to pet a rabbit, a turtle or their toy forms. The toys had no effect. But stroking a living creature, whether hard-shelled or furry, relieved anxiety. It worked for people regardless of whether they initially said they liked animals. By the way, rabbits love Vita Charge® Liquid Boost®. I love that everyone on our team is so full of passion. This enthusiasm constantly motivates me to keep going even when I am getting tired. Our employees’ passion amazes me daily, but our customers’ passion motivates me, as I believe passion is the one thing our competition can’t copy. Watch out here we come! I love the variety. Every day is different, and I get to interact with such varied groups of people assisting with opportunities, challenges and just trying to help out. This variety ensures that I am always learning, and I love to learn and to help others do the same. In the end this is love in my opinion – – – You don’t feel alive once you get off work, you feel alive while you’re at your desk–or, maybe more precisely, in your flow. If you love your job, you hardly ever look at the clock and end the day surprised you have to go home now. I would like to end by saying how much I love the future. The opportunity the future brings for all of us is mind boggling, but more importantly the opportunity it brings in the life of the animals we all love enough to stay up all night freezing to death or getting up early to haul them, braid them or blow them out (and yes I know what this is) is a gift from our Lord I can’t wait to watch unfold for our family. Sure Champ is taking things to the EXTREME in 2018 and we want to tell you all about it. Watch the webinar below where, Blaine Rodgers, Show Livestock Business Development and Field Support, will discuss the new Sure Champ line up coming this spring. If you were not able to jump on our recent Superior Livestock webinars, we now have the recording available for you to go back and watch. In this webinar, Alan Lee covers the program details for 2018 as well as our 2017 premiums and how you can use that information in your dealership. 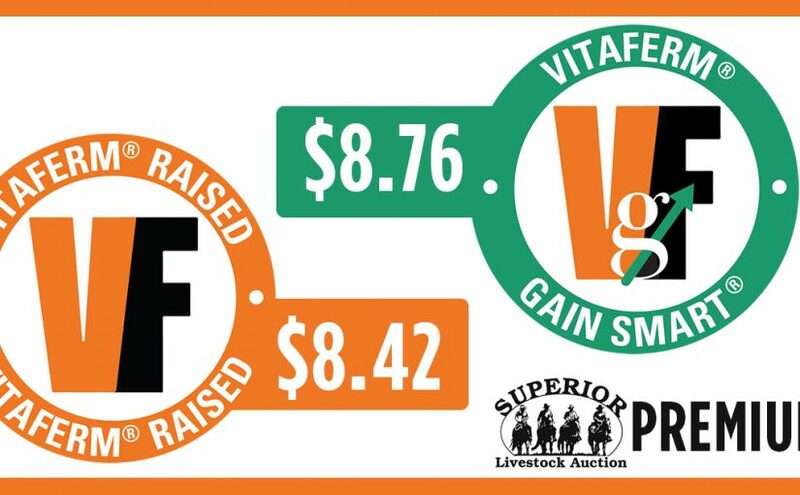 We have completed the first round of data in the Reproductive Success Report that compares cows fed VitaFerm Concept•Aid to the industry average in areas of conception rates, calving rates and weaning weights. In the video below, Kevin Glaubius, Director of Nutrition discusses the results. This is great data we want each of you to be able to use to fully explain the benefits of our best selling product! Often, we hear or read the words “marketing plan” and we automatically think of print advertising, signage, social media, radio spots and more. And yes, all those channels are important to having a successful way to reach your customers with your message. However, have you thought about individual plans for each product segment? You’re not going to market a mineral program for a cow-calf producer the same way you market supplies and feed for a small-scale poultry producer. Think about each product segment of your business. Perhaps you are an on-farm BioZyme® dealer, and mineral and supplement programs are the products you market. Split those products into the various species you represent, and then separate them again by the time(s) of year each product is relevant. If you have an actual store front, divide your products by larger categories – feeds by species, minerals and supplements, fencing supplies, tools, bedding, tack, show supplies, etc. Once you have each of these categories determined you can move to the next step. Regardless of dealer type or the kinds of products and services you offer, you need to know your profit margin and the potential for growth in each of the categories. Once you know that, determine which areas you want to grow your business, and focus your promotion and marketing efforts toward those. Perhaps the most important factor to consider when planning your marketing program is your budget and your return on investment. According to a webstrategies.com article, most businesses spend 7-12% of their total revenue on marketing strategies. And an ideal ROI for your marketing spend is 5:1. You should see $5 of income for every $1 invested. Once you know which products to focus on, determine what time of year and method of promotion you will use to market each segment. 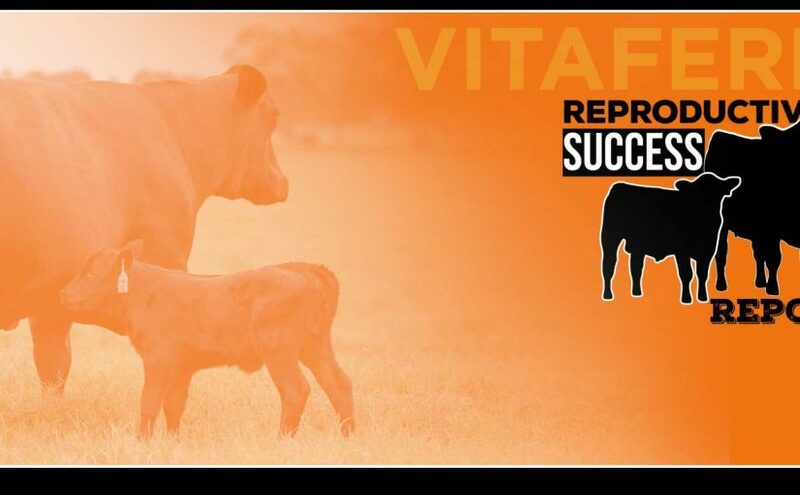 If cattle producers in your area are going to wean in May, focus marketing efforts in April on the VitaFerm® Sure Start® Weaning Program. You know that baby chicks will arrive in the spring, so perhaps you want to have a big promotion for poultry feed and Vita Charge® Liquid Boost® in the month of March to prepare people for chick pick-up. After you plan your marketing calendar, decide which methods of marketing are most cost effective for each product line you plan to promote. For example, you know that the primary users of the Sure Champ® line are younger people who are avid social media users. Promote those products via social channels, and spend minimal marketing dollars. If you have a new product or big promotion, it might be wise to invest in a direct mailing piece like a post card or flyer. Invoice stuffers are another great form of targeted advertising because you know exactly which customers are going to see which message. Although many companies focus a majority of their marketing on digital efforts, it is still important to think about those making the buying decisions in our industry – those older than 58 years old – who might not be connected daily to Facebook, Twitter and Pinterest. Marketing with print and radio mediums are still good investments in agriculture. 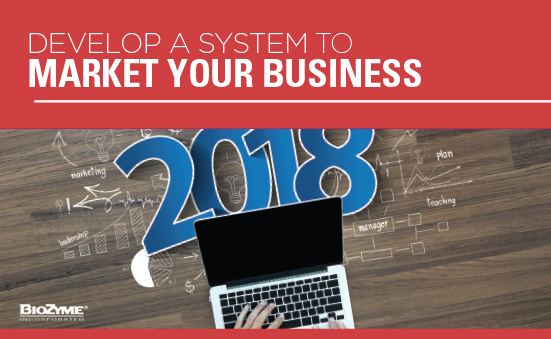 Get your marketing system in place to promote your business. Decide which goods and services give you the greatest ROI and focus on those products. Determine your marketing budget and which platforms will work the best to share your message. And tell everyone about the great products and customer service you provide. It’s the American dream – own your own business and work for yourself. But don’t let that dream become a nightmare when you are working 18-hour days and then laying awake at night wondering if you are going to turn a profit this month. Yes, owning a business takes hours of effort, but make sure that your effort pays off by posting a profit. According to Patricia Sigmon, author of the book “Six Steps to Creating Profit,” two-thirds of small businesses either didn’t post a profit last year or did not increase their profit from the year before. Let’s look at how strategizing your business systems will help you turn a profit and grow your business. Evaluate Operating Procedures. The key to increasing revenue is to increase sales and decrease expenses. Think about up-selling or cross-selling or bundling products to increase sales. To decrease expenses, examine all recurring costs to see if there is something you can eliminate or cut back on. Do you really need an extra full-time employee during certain days or hours? Could a part-time employee get the same amount of work accomplished? Stay Visible and Connected. Using the marketing strategies you have already put into action, keep your business name top-of-mind, especially when you have direct competition in the area. Use signage, advertising and social media to stay connected with your customers and potential customers. If there is an agricultural event in the local area, consider having a trade show booth for maximum personal exposure. Maximize your Cash Flow. 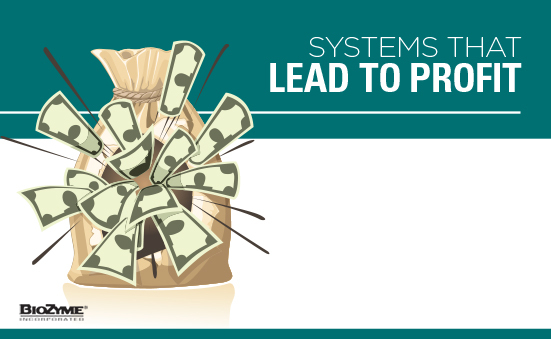 This might be the most important and yet most challenging step to getting your system to turn a profit. Cash is what keeps your business thriving, but so many people like to be billed, only paying once a month. Offer small discounts to customers who pay cash upon delivery of their products. Another way to manage your cash flow is to control your inventory. Excessive inventory that sets in a backroom or warehouse for weeks at a time is money that isn’t moving. Streamline Management Costs. Are your employees reaching their highest potential? How much are you owed in accounts receivable? How many new sales leads have you generated this week? These are all questions you should be able to answer at the drop of a hat. If you can’t answer these questions immediately, you need to automate some of your systems, and provide employees access so you all are kept current on what is happening. An automated system, such as customer management software, will help you keep current on who your sales team has contacted, who needs to be contacted and what your financial status is. Raise the Marketing Bar. Your marketing system must be one that is effective, immediate and measurable. Are you getting the best ROI for your marketing investment? Are you using effective marketing channels that reach your audience? Because of social media, today’s marketing initiatives are much more immediate than even five years ago. Start using social media to announce new products, new promotions or educational producer meetings. But be sure to measure the effectiveness of your marketing. Ask customers where they heard about a product if it is the first time they purchased it. Find out if you are spending your marketing budget wisely. Make everyone a Salesperson. And a customer service rep. A stock person. An educator. A marketing guru. And a janitor. As technology replaces so many of the jobs humans used to have it is vital to cross-train everyone that works for you, and provide them with the skills they need to sell the products and provide customer service all at the same time. Teach them to make a pretty display, shoot a photo of that display and post it on your social media channels, all while waiting for the next customer to approach them. Teach them to stock shelves with products from the warehouse, but to be friendly and answer customer questions. If your employees are cross-trained, that means more flexibility for you. Yes, the American dream can become reality, and it can even be profitable. Employ the proper sales, marketing and administrative systems and let your business work and grow for you. Not only will you start to see a profit, but your business will be more marketable in the future as an entire entity when and if you ever want to sell it. You know most of your customers’ names and greet them with a warm hello, but do you truly provide quality customer service? 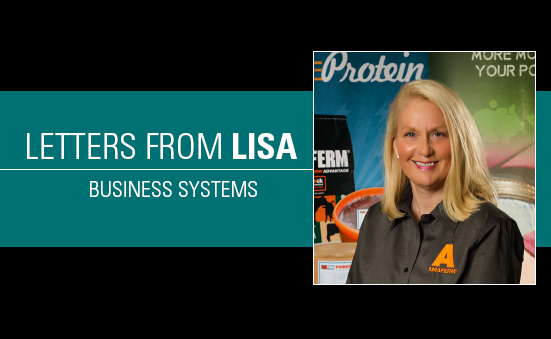 Although resolving issues and helping your customers find the products that best fit their needs is important, it is just one of the five key components to a system that provides great service. When businesses deliver on all five of these objectives, they often earn the reputation as the place to do business with. In a growing and competitive marketplace where brands must differentiate on experiences instead of product or price, customer service is one experience you can’t let slide. Let’s explore each of the five customer service goals. First Contact Resolution. First contact resolution or getting a customer’s question solved within one communication touch is key. Studies steadily indicate that customer satisfaction will drop 10% or more if a customer must contact a business more than once to get its challenge solved. You might feel like your FCR is on point because once you answer a question, you don’t hear from that customer again. Remember, that is just one reason a customer doesn’t return. It could be that he or she is totally dissatisfied and decided to take business elsewhere. Be sure to track your customer communication and ALWAYS follow-up to make sure the questions were answered and challenges were resolved. Emotional Connections. Product and price are not always the biggest factors in customer loyalty. Experiences are just as or more important, and 80-percent of consumers will pay more for an outstanding experience. Can you think of a time when you had a less than desirable customer service experience? Did the sales person or customer service rep sound like a broken record reading from their script, how they are sorry for the unpleasant experience, but they would take your contact information and relay it to the management? Nothing makes a customer feel less emotionally connected to a brand, product or business than feeling like a number rather than a person. 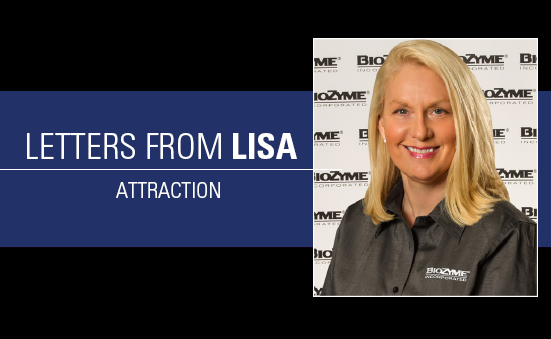 Train your staff to form emotional connections with all customers. Replacing a faulty product now might cost you a little money, but losing a customer will cost you more in the long-term. Preventing Future Issues. Being proactive is a better problem-solving method than being reactive. Making sure you have answered questions fully and provided enough information about the products you’re selling before the customer makes a final purchasing decision should help eliminate the need to solve further questions. Have you been selling Vita Charge® Stress Tubs to a producer prior to weaning? If so, you might also suggest the Vita Charge Drench to make sure the calves stay healthy from the get-go. Up-selling and cross-selling. Once you feel like you truly know your customers’ goals and have formed an emotional connection with them, you can start up-selling and cross-selling. Growing your customer base is important for sure, but it is also just as important to make sure current customers realize the benefits of how all products work together. For example, you might have a customer that needs Sure Champ® for their show livestock projects heading to the winter jackpots or major stock shows. You might also want to suggest Sure Champ Climate Control or Vita Charge Liquid Boost® to help keep their animals healthy and eating on the road. 5. Voice of Customer (VOC) input. Getting input from your customers is vital to your business’s success. VOC can assist your business in making decisions about products, services and marketing strategies. There are various ways to gather input from your customers. You can have a short 2-3 question survey at the end of each transaction. Change up these questions monthly or quarterly to get more information from your customers. You can also email or mail a short survey out to your customers and attach a coupon or other incentive to the survey as encouragement for completing it. Pay attention to the VOC and analyze what your customers are saying on a regular basis. It will make them feel valued and can also add value to your business. 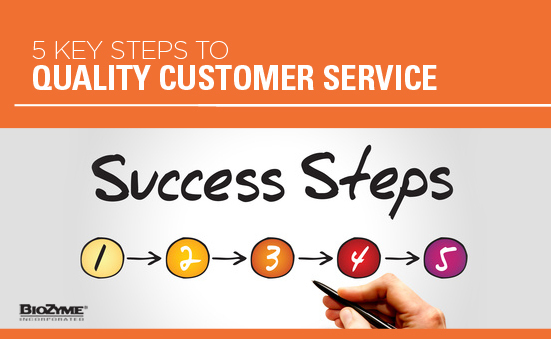 Follow these five steps for a quality customer service system. Your customers will feel valued, and you will see benefits to your business as well. Management is key to your success with show animals. But management refers to more than just skin and hair care or having the latest and greatest in equipment and products. The heart of good management starts with a sound nutrition program and feeding your animals correctly to maximize their look. One of the best ways to keep your show animals eating and drinking is to start with a sound nutrition program that focuses on a fortified feed and keeps their gut health in check. 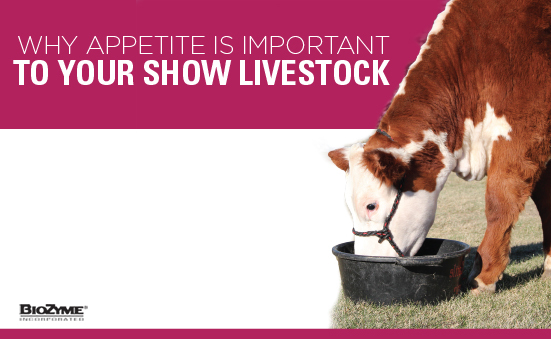 Most nationally-branded show feed lines do a great job providing quality, fortified feed options. Additionally, there are many additives out there for every enhancement possible – muscle growth, soundness, hair quality, leanness, freshness – however, if their gut isn’t working properly and absorbing nutrients, and/or they aren’t eating, none of those other additives really matter. Another important part of their diet is to keep it consistent, and not change their feed or add something new to it each day. “We need to focus on the fact that if an animal’s gut isn’t working properly feeding all the additional additives is just like rolling down the window on the interstate and throwing money out! In order for feed and additives to do as they are designed to do, the gut of your animal must have the ability to digest and absorb those products and feeds effectively. One way to insure this is happening is by adding Amaferm® through a product such as Sure Champ® Cattle or Sure Champ Spark®,” Creamer said. 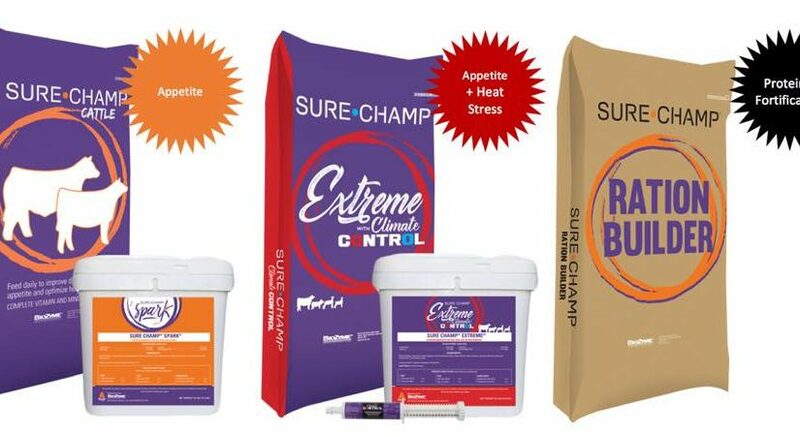 Sure Champ Cattle includes Amaferm, a natural prebiotic designed to maximize the nutritional value of feed. It is research-proven to increase water and feed intake, both in grain and forage-based diets. In addition, research shows that Amaferm decreases body temperature in heat-stressed animals. Sure Champ Cattle is a pelleted, daily vitamin and mineral supplement that can be top-dressed or mixed into any feed ration. Another product available and ideal for small species including sheep, goats and pigs is Sure Champ Spark. Spark is a pelleted, daily supplement that will enhance the nutritional value of your feed ration by increasing absorption and keeping the animal healthy. In addition to Amaferm, it includes MOS to trap bad bacteria, limiting their ability to do harm to digestive health and intake. 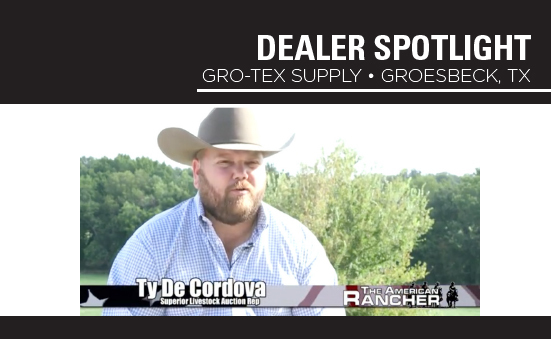 “These Sure Champ products work to keep your animal healthy, and a healthy animal is one that won’t shy away from the feed bunk, water trough or bucket,” Creamer said. Ready or not, it’s a new year. I am not going to go into the whole New Year resolution thing, because I am no expert on that tricky little mind game. However, the other day when I was going through my usual late December routine reminding myself of my much-needed resolutions, I wondered why it is so hard to start “new” things. Habits are powerful. We persist with many of them because we tend to give undue emphasis to the present. Trying something new can be painful: I might not like what I get and must forgo something I already enjoy. That cost is immediate, while any benefits — even if they are large — will be enjoyed in a future that feels abstract and distant. In business, we often find ourselves in a similar catch 22 situation. We have no time to work on the business because we are too busy working in the business. And we can’t get away from the business because we haven’t developed the documented systems and processes needed to make such a concept a reality. So, we’re stuck in a business that has become a self-made trap. The only way out is to make time to create and document the business systems. And for most of us that means doing something new. Business systems start with documented procedures and processes that allow your business to run without you. And yes, you read that correctly. marketing strategies, sales techniques or other highly visible aspects of business, good business systems are considered by some as boring. While building them may indeed be boring, the incredible power they give is anything but. Business systems are neglected because of a perceived lack of urgency. When a business is small there are seemingly much more important things to do like sales, marketing and order fulfillment. With all of these important things vying for our increasingly scarce time, business systems seem like something that can be put off until later. However, just like any other accumulation of neglect over time, it rarely ends well. Consistency is one of the keys to delivering an excellent customer experience. You may not like the food at McDonalds, but one thing you can say about them is that wherever you go they deliver a very consistent experience. Ask any highly creative person how they continue to innovate and express themselves in new ways – they’ll tell you the key to their success is a commitment to trying new things. When you try new things, you put your brain into unique situations that force it to really think. This stimulates creativity, which eventually rubs off in other areas of your life. As a result, you begin to think about everything in a new light. When you and your staff don’t have to waste time and effort re-inventing the wheel each time, you improve efficiency and reduce costs. It’s nice if your business gives you a great cash flow to fund your lifestyle. But wouldn’t it be fabulous if one day when you decided it was time, you could sell your business and have the biggest pay day of your life? You can only do this if you build the value of the business, and that can only happen if it is based on a system that can continue running without you. Whether you realize it or not, you spend the majority of your day doing things you’ve already done hundreds or thousands of times before. Very rarely do you actually try new things. There are many benefits to doing new things – don’t cheat yourself out of them.